These steps are similar to how we made the front of the dress in the previous post – however, there are a few differences, so do pay attention! The good news is that it’s quite a bit easier than making the front dress as it doesn't have the pockets. 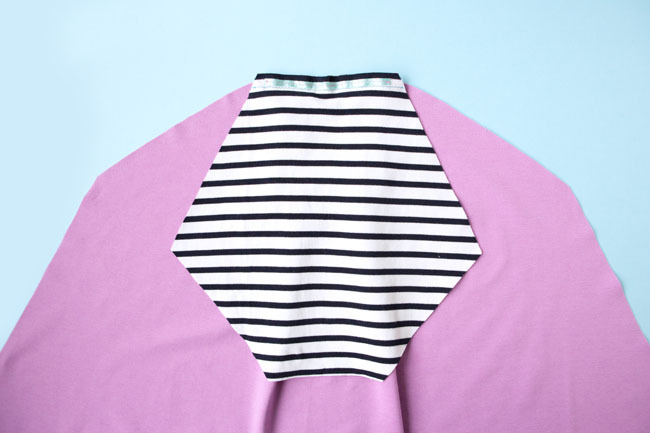 We’re going to start by attaching the back bodice to the back skirt – lay these pieces out on your sewing table, right sides up. 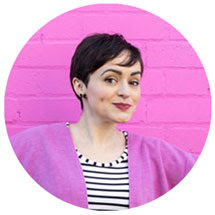 If you’re not sure which is the neckline and which is the waistline on the back bodice, look for the centre notch that you snipped at the cutting stage – this edge is the waistline. 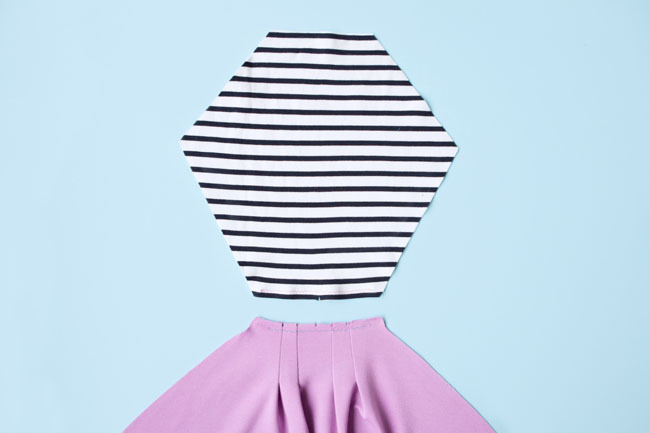 Flip the back bodice over the back skirt at the waistline, right sides together. 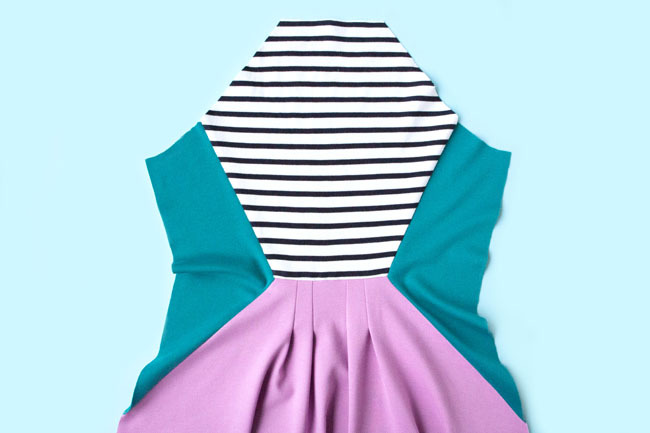 Pin them together along the waistline, matching the centre notches. Using a narrow zigzag stitch (1-1.5mm wide x 2.2-2.5mm long), sew them together. Whereas we sewed the front waistline between the pivot points, leaving the ends unstitched, on the back you can sew all the way from one raw edge to the other. 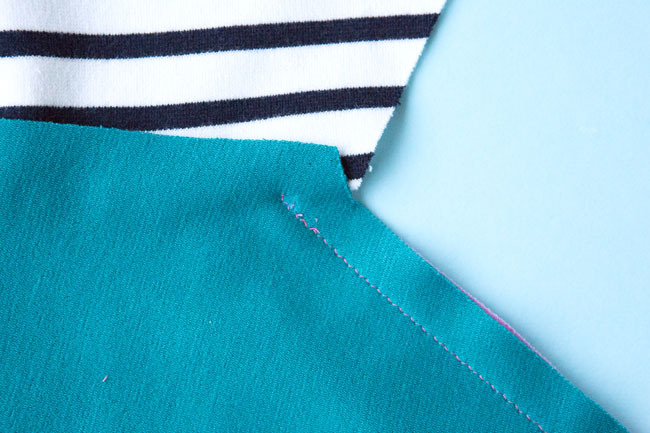 Trim the seam allowances, or overlock (serge) them together if you have an overlocker (or you can leave the edges raw). 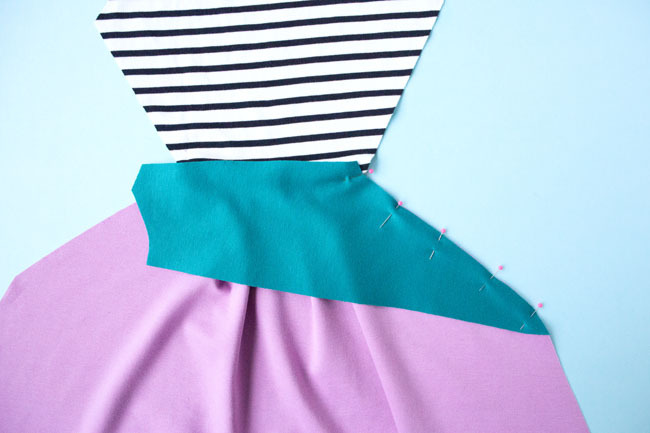 Press the bodice and seam allowances away from the skirt. 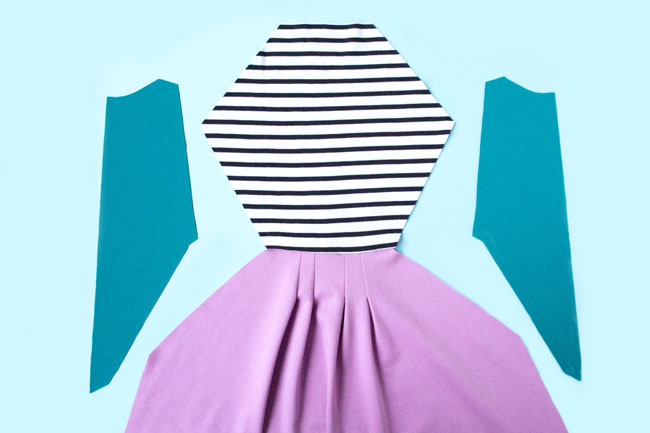 Find the side back panels and lay them out next to the back dress, all pieces right sides up. Lay the side back panels over the back skirt, right sides together. 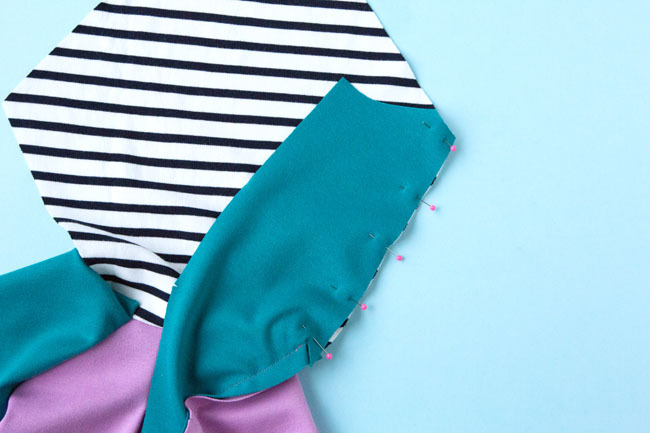 Pin them together along the back skirt seams, matching notches and lining up the pivot points, which should be exactly on the waistline seam. The top end of the seams should overlap the waistline by 15mm (5/8in). Keeping the waistline seam allowances up and out of the way, narrow zigzag stitch between the pivot point and the bottom of each back skirt seam. 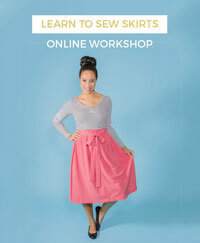 Make sure the bodice and waistline seam allowances don’t get caught in the stitching. And check from the wrong side of the dress that the stitching meets the end of the waistline stitching exactly so your dress doesn’t end up with a hole in it (you can stitch over any gaps). 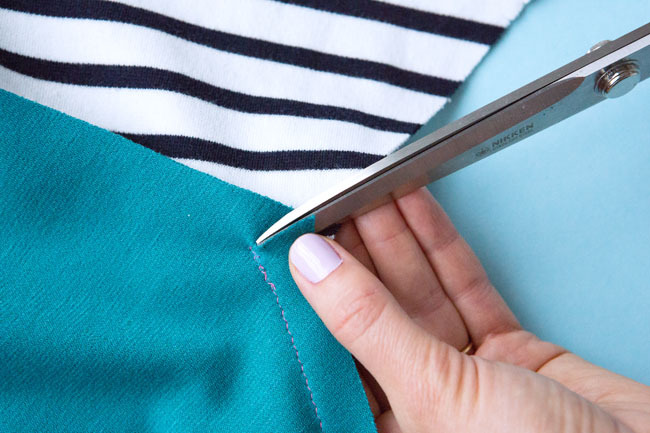 Snip the side panel seam allowance to the pivot point from the corner – this will help the seam allowances open up and lie flat, making it easier to pin and stitch the seam neatly. Now fold each side back panel over the back bodice, right sides together, and pin them together along the back bodice seams, matching notches. With the waistline seam allowances still pressed up, narrow zigzag stitch between the pivot point and top of the back bodice seams. 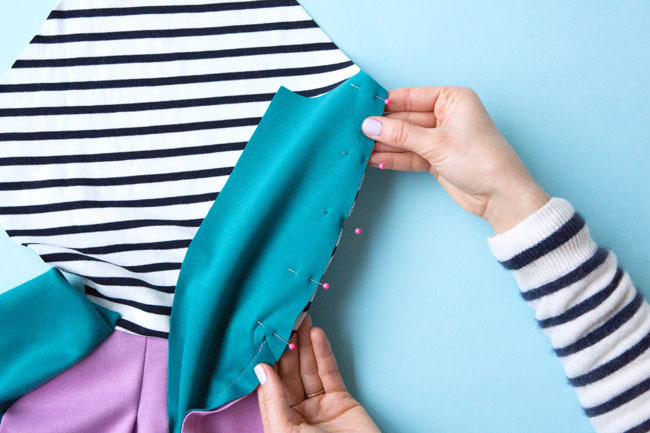 The aim of the game is for the stitching to start or end exactly on – but not over – the pivot point, which should also be the level of the waistline seam. 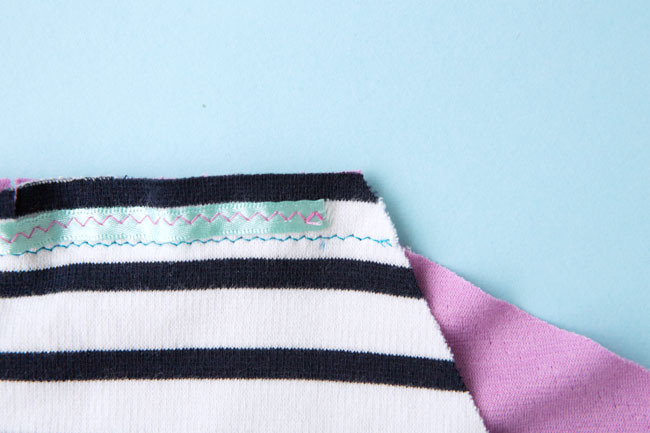 This is the key to getting a nice, neat corner, without leaving a hole in the dress – check how the corner looks from both the wrong and right sides. This is what it should look like. If you’re not happy with your corners, you can always unpick the stitching around it, check the pivot points are exactly on top of each other (you can always stretch the fabric slightly if needed!) and stitch up to the pivot points again. It may take a few attempts to get a sharp point on your corner – and that’s fine! 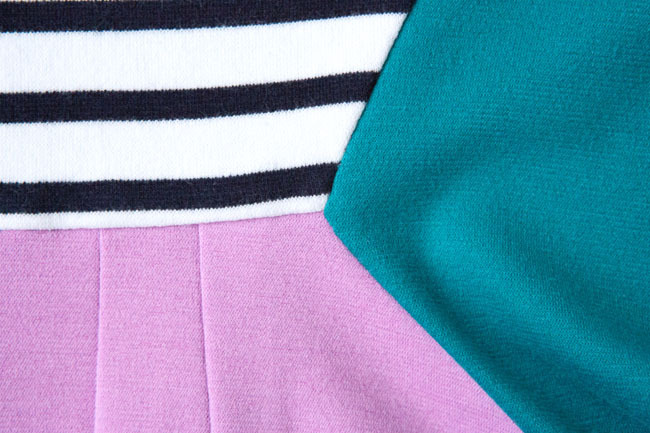 Once you’re happy with your back dress, trim the seam allowances on the skirt and bodice seams, and overlock (serge) them together if you want to. Press the seam allowances towards the bodice and skirt. 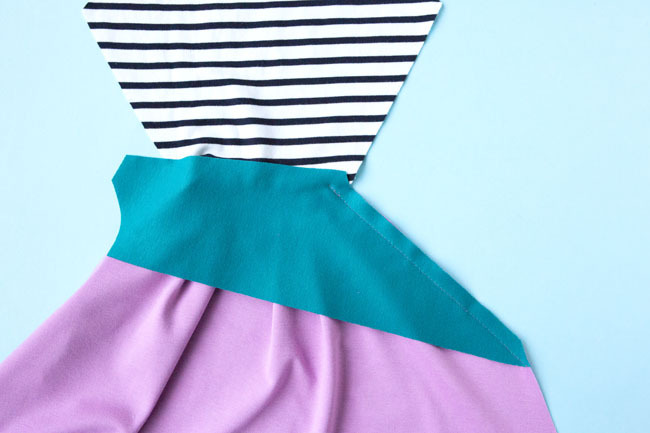 How is your Zadie dress coming along? Remember to share your work in progress pics and finished makes with us on Instagram so we can see! Tag us in @TillyButtons with the hashtag #SewingZadie.